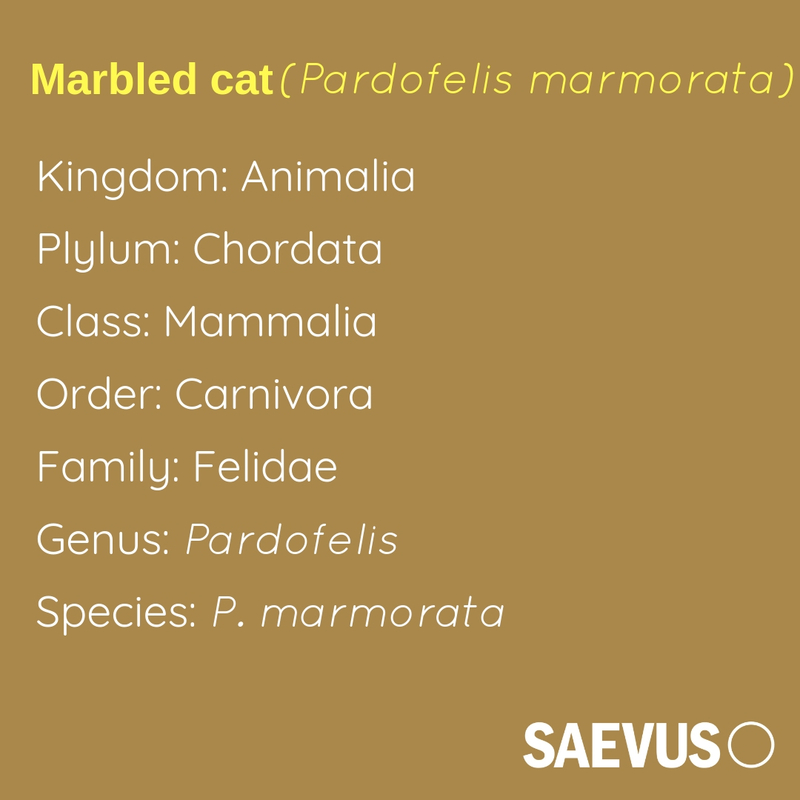 Possessing an unusual mixture of small and big cat characteristics, the elusive Marbled cat is a sight for sore eyes, especially when it catches the beholder unawares in the lush forests of Eaglenest Sanctuary. On January 2, 2014, I was leading a birdwatching group in Eaglenest Wildlife Sanctuary in western Arunachal Pradesh. Home to some of the last undisturbed forests in the country, it is also part of one of the 34 biodiversity hotspots from around the world. Having spent some time here, I have learnt that this place can never cease to surprise you; and hence you should never venture anywhere without a camera. It was around 8:30 in the morning—not the time when you expect to see mammals in this place; dawn and dusk are the preferred times—when we saw a small cat walking on the road, a little ahead of our vehicle. My first guess was that it had to be a Leopard cat, which is quite common here. But then the long and bushy tail, almost equal to the body length, caught my attention. Instantly, I realised that this was a Marbled cat (Pardofelis marmorata). I had only seen a few camera trap images of this species before and don’t know anyone who has photographed this cat in the wild. This being my first sighting of the cat, I got super excited. We got off the vehicle and tried to follow the cat, without making much noise, stopping whenever the cat turned around to check on us. This idea seemed to work, and we got closer to the cat, managing a few pictures in the process. Finally, it found a clearing next to the road and disappeared into the thick foliage. The Marbled cat is one of the rarest cats in the country, recorded in a few states in northeast India. Its arboreal habits make it very difficult sight to sight. The IUCN records this species as Vulnerable as it is a forest-dependent cat and is getting affected by rapid deforestation. The total population is estimated to be less than 10,000 individuals, with no single population numbering more than 1,000. A Project-JRF in IISER, Pune, Rohan is currently studying the distribution patterns of birds and frogs in Arunachal Pradesh. Nature and wildlife photography is a serious hobby that he has been pursuing for over seven years.